Come have fun! Tour the Exuma Cays with a local captain & tour guide, born and raised in Exuma, Bahamas. 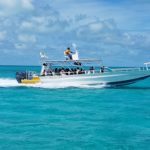 All types of tours are available, including snorkeling, deep sea fishing, reef fishing…even try Bahamian-style hand line fishing…sightseeing, conch diving, spearfishing, and more. It’s guaranteed fun & excitement! 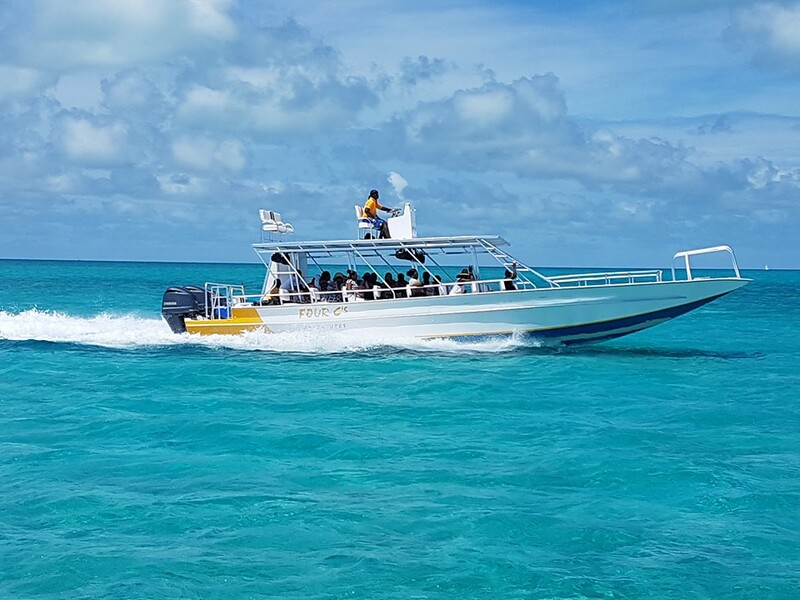 Private & group charters, ferry service, half & full-day tours. 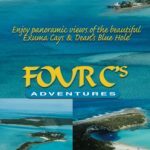 Customize your own private tour of Exuma, Bahamas. Multiple boats are available for large parties. 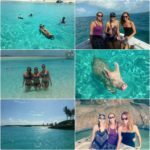 We provide transportation for you and your group if you are staying at Sandals Emerald Bay Resorts and other resorts on Great Exuma. 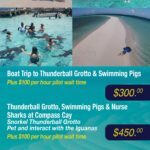 On the way, take a walk on the two-mile-plus sand bar, snorkel Thunderball Grotto, snorkel a sunken drug plane, feed the iguanas, admire Starfish Bay, and feed the swimming pigs, maybe even spot a sea turtle! Get involved, dive for your own conch & lobster. Kick off your sandals and enjoy a homemade conch salad with your own catch, made in front of you during the tour. Later, dine at an exotic Out Islands’ yacht club. A great day awaits you at Exuma, Bahamas. Several excursions and tours to multiple locations available. See the Pirates of the Caribbean island. Try them all. Owner Clayton “Pat” Smith has given Miss Universe 2008-2009 a tour of the island. Miss Universe is seen to the right, petting one of the nurse sharks.